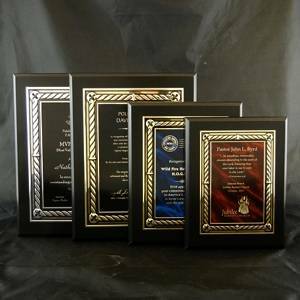 The Black Magic line features solid black plaques with ornately bordered engraving plates to create a unique award you will be proud to present. Available in 4 colors and 3 sizes. Individually boxed. Includes engraving free of charge. 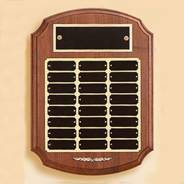 Click here for other engraving information.